Fisheye-Hemi Plug-In - See the entire Hemisphere without the distortion. 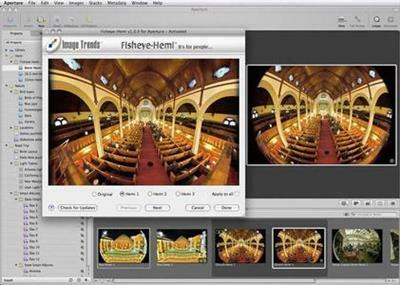 The Fisheye-Hemi Plug-In automaticaly remaps your fisheye images to minimize distortion and maximize the preservation of all image details. 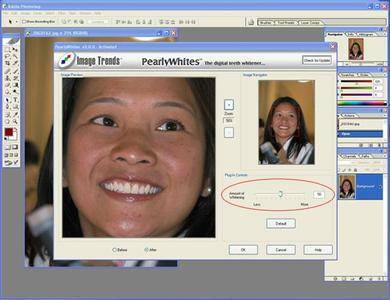 PearlyWhites is an Adobe Photoshop compatible Plug-In filter that automatically whitens and brightens teeth. Digital cameras are known to add a yellow cast to teeth. 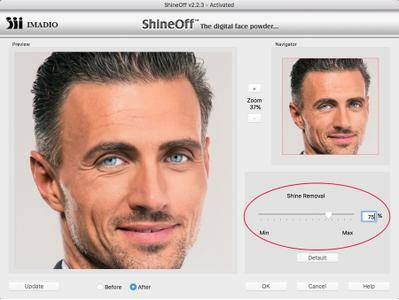 ShineOff is an Adobe® Photoshop® compatible Plug-In filter that automatically removes the shine from skin. The cold white light of the camera flash creates an unnatural shininess on skin. ShineOff automatically transforms faces and skin areas to a soft and natural looking appearance.